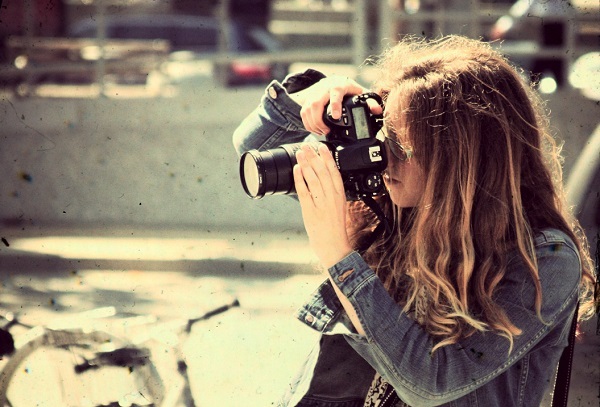 SEO for photographers is achievable when you follow a proper strategy. This guide should act as a compass for you to follow to achieve better results in organic search marketing.In this post, I will break down some photography SEO tips and what you can do to drive more Google traffic to your site today! If you would like assistance with your business, I offer a SEO Coaching to discuss strategy with your site along with Boston SEO Expert on a monthly basis. Here is a quick video that shows what I look at for a typical SEO audit. Name, address, and phone number are key ranking factors for successful local optimization. Moz Local is a free tool that shows all of your business listings on the web. Moz Local will showcase every listing you are missing too. Online listings include places like Facebook, Yelp, Yellow Pages, and more. 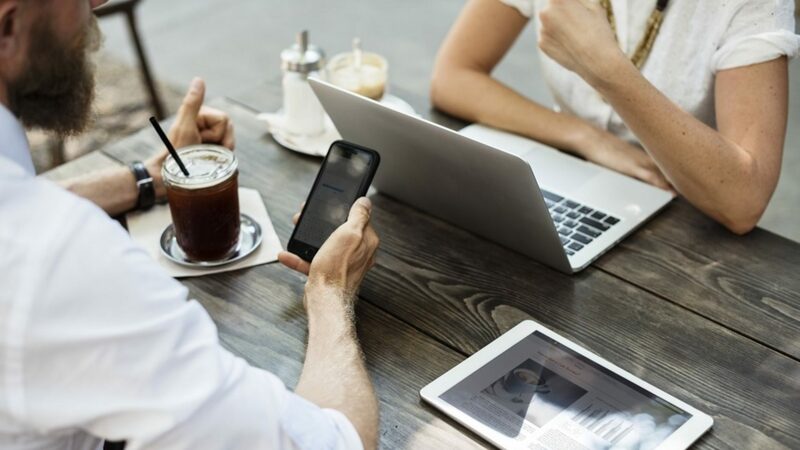 By filling out your business information on these places, you increase your chances of driving referral traffic back to your domain while giving more signals for Google to rank your website in their results. Let’s say that your business serves the Seattle community and surrounding areas. You offer services like portrait taking, wedding photography, corporate events, birthday parties, and more. To emphasize your location, you should place your target city somewhere in the title tag of your page. Take a look at this picture below and notice how all of the top organic spots include the city of Seattle in their title tag. 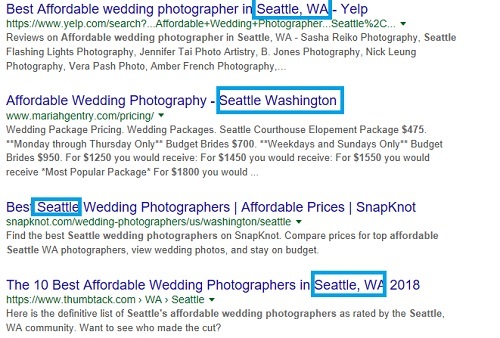 This strategy is a signal to Google and Bing that you are local and helps reinforces that when someone searches for a Seattle photographer. Perhaps you have your target city within the Title Tag, so you think what else can I do? 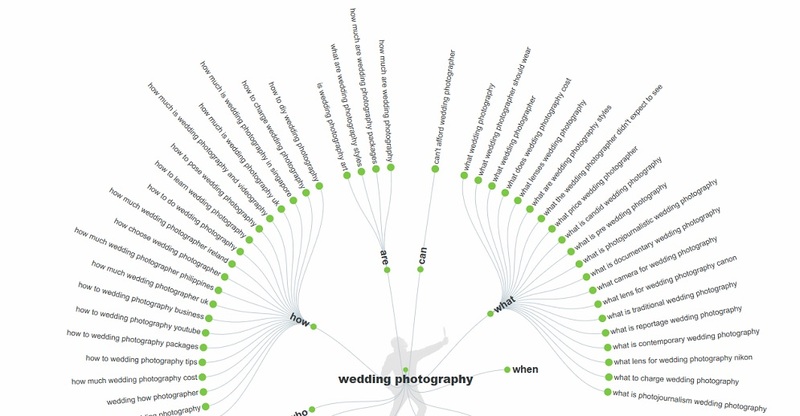 Discovering the best SEO keywords for photographers requires a strategy using Google, Bing, and a few tools. In the section below, I will briefly cover how you can use these free tools to scope out new terms to include on your website. Let’s say that your core business out in Seattle offers photography services for weddings. You have the city of Seattle in your title tag, but you are unsure how to drive more traffic to your site. My advice is to use a blog on your website that covers long-tail keyword search topics that people are actively researching on the web. To find the best SEO keywords for photography, I present my five favorite free search tools to perform keyword research. Answer the Public is a website where you can see questions people ask for any topic. If you have a blog on your site, you could cover many of these topics as their own blog post. You can also use the blog as your funnel to direct people to your main service page since they are in the research phase of wedding planning. Reddit is a place where you can see real questions people are asking about a wide range of topics. By searching for your issue, you can look at the problems that people ask along with the answers underneath them. Chances are you can find a few topics that are worth covering for your blog based on the results on Reddit. If you want your business to appear on Google, you should study Google’s results. By using the Keywords are Everywhere plugin with Chrome, I can get an idea of the monthly search volume that each term yields in Google. I do advise clients not to dismiss any search terms that have no search volume. Google is sneaky with results and hides exact search volume, so it’s best to cover topics that make sense for your business. Registering your website with Google Search Console and Bing Webmaster Tools is a significant first step in SEO. The tools will give you a plethora of insight into how both engines see your website. Both services will even show you the organic terms your site ranks for, so you can use that directionally to see what topics to cover if they yield a lot of interest, but you are not on page one. A picture is worth a thousand words, but merely uploading a photo to your website will not be good enough to rank high in Google or Bing. In this picture below, I am going to discuss two major SEO issues that appear to me. The first issue deals with the size of the image while the second issue is due to a missed opportunity revolving the ALT tag. 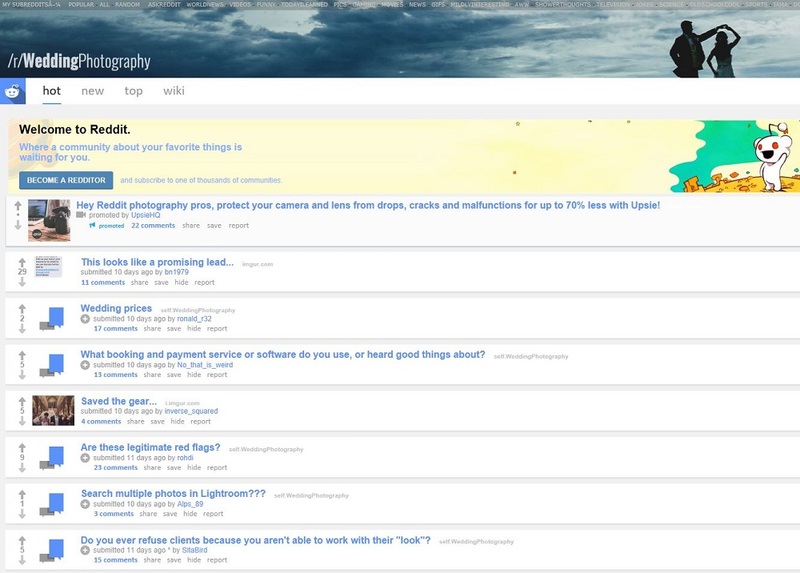 The issue with uploading a big picture is that it slows down your page for users. By reviewing the source code, I can tell that this person uploaded an image that was too big, but then scaled it down in WordPress. The problem with this is that the original file size is still present, so the load time suffers. The workaround to this issue is to remove this picture, resize it in photoshop, and then upload the size that you want users to see. A missing ALT tag is a huge miss for this photographer’s website. The ALT tag is what Google and Bing read to understand what a picture is. Take out the 10 seconds everytime you upload a photo and write a descriptive ALT tag, so you have a high chance of having that picture show on Google. This guide was more of a compass of best practices to follow for a photography website trying to win in SEO. Many elements that I did not go over include schema markup, speed optimization, clear architecture, backlinks, and more. There is more to search engine optimization than those elements, but this should be a right starting place. If you are looking for help to grow your business, I offer a Free SEO Audit that can help find specific opportunities to help improve your online presence.